Siemens’ customer-focused philosophy has always been to continually integrate cutting-edge imaging applications into daily clinical routine, helping to provide high quality patient care while simultaneously lowering costs. And the success of this philosophy is easily recognizable with more than 8,000 satisfied and knowledgeable customers who have purchased the SOMATOM® Emotion®, making it the world’s most popular CT scanner. Having the industry’s leading detector material is only one important step towards excellence in image detail. 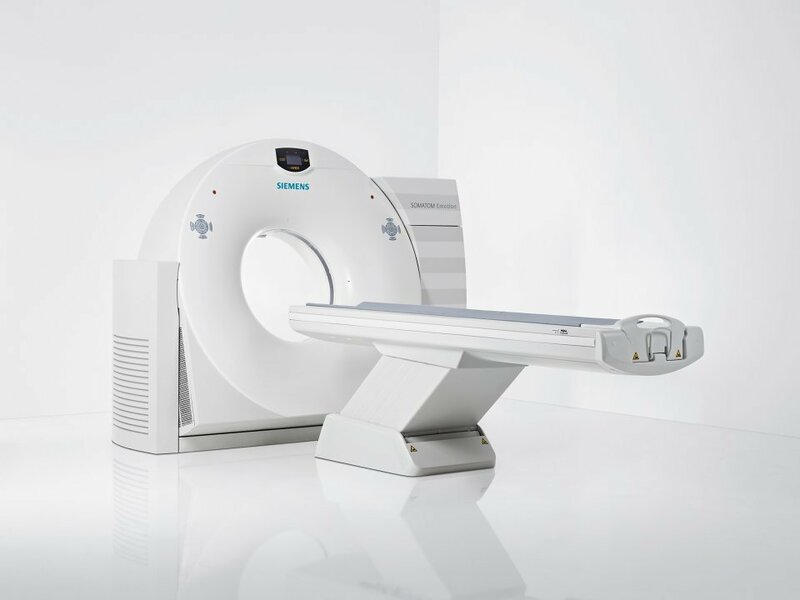 Siemens takes this leadership further with the SOMATOM Emotion family of CT systems by offering the segment leading 1472 active effective detector channels for increased image quality which may potentially aid in diagnosis. With the smallest focal spot size in its class and fine detector collimation of 6 x 0.5 mm and 16 x 0.6 mm, the SOMATOM Emotion family of scanners provides the clarity and sharpness you require for accurate diagnoses. Excellent image quality is, of course, the main criterion for every CT system, however, a successful workday in CT is also made up of dozens of highly important factors that increase efficiency and throughput. In the preparation phase of the CT examination, for example, the simple but practical CT storage box that holds all basic CT positioning accessories within easy reach greatly facilitates the ease of patient positioning. From the time of installation, even before you have made your first scan, the SOMATOM® Emotion makes the first step in savings. The modern, compact design permits easy and efficient installation and requires very little of your expensive floor space. Requiring a total of only 18 square meters – including a scan room as small as 15 square meters – the SOMATOM Emotion has the potential to save you money over the entire life of your CT system.